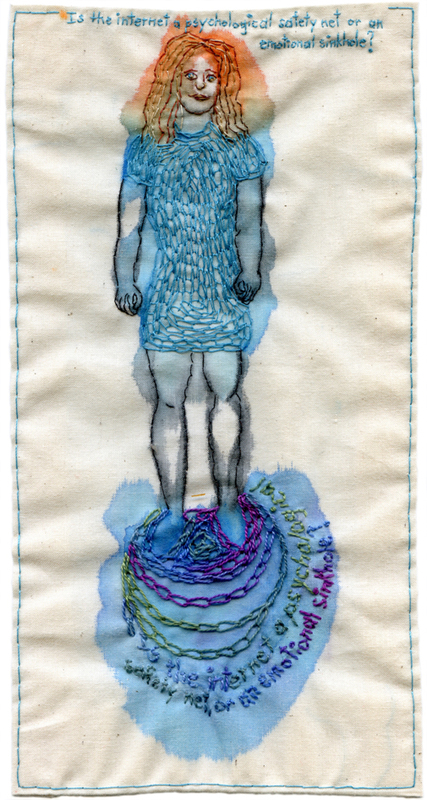 “Safety Net or Emotional Sinkhole.” 2013. Embroidery and watercolor on fabric. 9.25″ x 4.75″.